The European Central Bank has increased the emergency funds available to Greek lenders by $1.1 billion, in an attempt to keep Greece in the eurozone. But, euroarea officials have told Greece they have zero trust in its ability to deliver effective policy. The European Central Bank on Wednesday increased the amount of money Greek banks can borrow under its emergency lending program to $77.8 billion, Bloomberg reported. The increase is the biggest this month since lenders lost access to normal ECB funding lines in February. The EU is currently holding back crucial financial aid as the European Commission has made $2 billion of unused funds available to Greece to help the country avert a cash crunch. 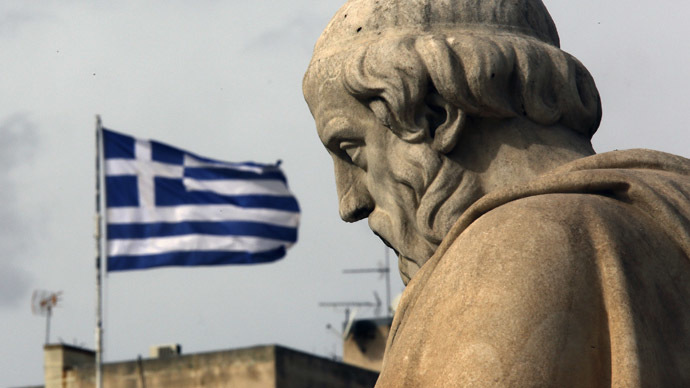 The ECB told Greek banks late Tuesday not to buy any more Greek government debt. The so-called Troika of lenders, the ECB, IMF and European Commission require the country to stick to the austerity measures already agreed upon and complain Prime Minister Alexis Tsipras hasn’t convinced them his economic plan can meet their requirements. Greece needs to show by Monday it can deliver detailed reform proposals after finance ministry deputies reviewed the situation on a Wednesday conference call. The international lenders are trying to keep Greece in the single currency block; however, the risk of a serious political accident that could see Greece out of the euro is growing. “It would be tragic if Greece gives up the reform process now and its achievements are thrown away,” ECB council member Jens Weidmann, the Bundesbank chief, was cited by Bloomberg as saying in Munich on Wednesday. European Central Bank council member Yannis Stournaras urged the Greek government to act quickly to agree on reforms with the country’s creditors as he thinks that a Greek exit from the euro isn’t an option and wouldn’t help the country’s economy in the long-term. “Grexit would deliver no benefit but a lot of pain. The new Greek government has a unique opportunity to implement bold structural reforms, which would be backed by a large majority of the political forces in the country,” Stournaras said in London, according to Bloomberg. The Greek government is facing a serious challenge with a $501 million of IMF loans to be repaid in early April and another €768 million falling due the next month. Greece has to begin €1.5 billion monthly pension and salary payments this week. Meanwhile, European officials say Greece could run out of funds within weeks. Greece should act faster for its actions to be more effective, suggests Jeroen Dijsselbloem, who heads the eurozone finance ministers’ group. “The main problem is the same in every country in Europe: getting things done,” Bloomberg reported him as saying in Rotterdam on Wednesday.